Nyongo election hangs in a balance after his opponent moved to court to challenge his reelection. 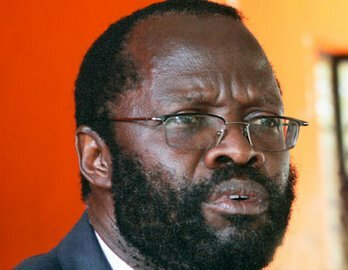 Nyongo might be the first Governor to lose his seat after petition by former governor Ranguma is another to go by. It has emerged that final election results were announced without results from 5 polling stations. Another issue which was mentioned in the court room was voter bribery and voter intimidation. Orengo who was representating IEBC and Governor nyongo said that IEBC did a commendable job and That elections were held according to the law. The judges in kisumu high court are expected to deliver the ruling today and if nyongo loses his seat he will be the first governor in the current government to lose his job. Rangumi the former governor will be hoping to be the first person in Kenya to successful challenge Governors reelection.